post his impressive credentials and publications, as long as this site focuses on his work, not himself. 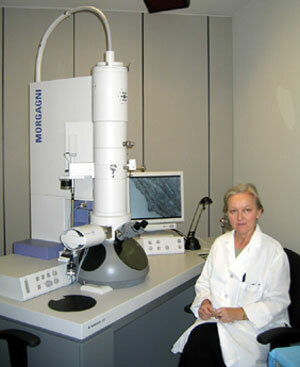 The purpose is to help people to better understand and verify his research, leading to new studies. retaining the Presidential (David O. McKay) Scholarship. retaining full Tuition Scholarship and Research Fellowship (1973-1978). Frank M. Legge, PhD Chemistry, Logical Systems Consulting, Perth, Western Australia. 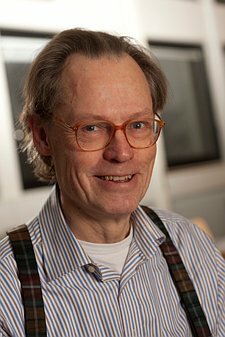 Dr. Niels Harrit:: "My master degree, which I earned in 1971, was based on the work I did for one year at Max-Planck-Institut für Strahlenchemie, Mülheim an der Ruhr, Germany. My doctor thesis from 1975 from University of Copenhagen was in mechanistic photochemistry. I spent a year at Columbia University, New York City as post doc. in 1977. I teach organic chemistry, photochemistry and photophysics to nanoscience students and chemistry students. I supervise master students and Ph.D. students. I enclose my list of publications. My latest paper is currently "Hot paper of the month" in Angewandte Chemie, one of the world's most leading journals of chemistry. I am a senior member of a "Centre of Excellence" Molecular Movies where I mostly work with physicists on time resolved X-ray scattering. 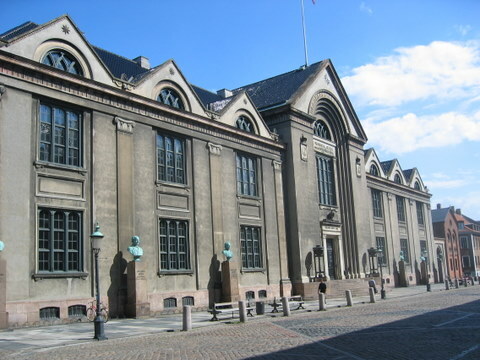 This centre is a subdivision of the Nano-Science Center at the University of Copenhagen, of which I have been a faculty member since it started in 2001. “Pyrylium Salts and Hydroxylamine in Acid Medium. Synthesis of Pyridine N-Oxides from Pyrylium Salts.” N. Harrit, C.L. Pedersen and O. Buchardt, Acta Chemica Scandinavica 24 (1970) 3435-3443. “Light-Induced Ring Expansion of Pyridine N-Oxides.” O. Buchardt, C.L. Pedersen and N. Harrit, Journal of Organic Chemistry. 37 (1972) 3592-3595. “Detection of Transients in Low-temperature Photochemistry of 4-Phenyl-1,3,2-oxathiazolyio-5-oxide by Ultraviolet and Electron Spin Resonance Spectrometry.” A. Holm, N. Harrit, K. Bechgaard, O. Buchardt, and S. Harnung, Chem.Commun. 1972, 1125. “The Photochemical Behavior of Aromatic 1,2-Diazine-N-Oxides.” K.B. Tomer, N. Harrit, I. Rosenthal, O. Buchardt, P.L. Kumler and D. Creed, .J.Am.Chem.Soc. 95 (1973) 7402-7406. “Photochemical Rearrangement of 3-Methyl-2-methylthio-5-phenyl-(1,3-thiazol-4-ylio)oxide to 3-Methyl-4-methylthio-5-phenyl-1,3-thiazol-2-one.” O. Buchardt, J. Domanus, N. Harrit, A. Holm, G. Isaksson and J. Sandström, Chem. Commun. 1974, 376-377. “Photolyse af 4-Phenyl-1,3,2-oxathiazolylio-5-oxid. Mekanisme og metode.” Licentiatafhandling. 215 sider. Kemisk Laboratorium II, H.C.Ørsted Institutet, Københavns Universitet 1975. “Photochemistry of Thiatriazoles. Benzonitrile Sulphide as Intermediate in the Photolysis of Phenyl-Substituted 1,2,3,4-Thiatriazole, 1,3,2-Oxathiazolylio-5-oxide and 1,3,4-Oxathiazole-2-one.” A. Holm, N. Harrit and N.H. Toubro, J. Am. Chem. Soc. 97 (1975) 6197-6201. “The Photocycloaddition of Cyclohexene to Carbostyrils.” O. Buchardt, J. J. Christensen and N. Harrit, Acta Chemica Scandinavica B30 (1976) 189-192. “Oxathiiranes as Intermediates in the Photolysis of Sulfines.” L. Carlsen, N. Harrit and A. Holm, J. Chem. Soc. Perkin Trans. I, 1976, 1404-1408. “On the mechanism of Photolysis of 4-Phenyl-1,3,2-oxathiazolylio-5-oxide in ethanol. Evidence for Ketene Intermediates.” A. Holm, N. Harrit and N.H. Toubro, Tetrahedron 32 (1976) 2559-2563. “Enviromental Effects as a Determining Factor in Photochemical reactions: Photolysis of matrix-isolated 4-Phenyl-1,3,2-oxathiazolylio-5-oxide.” I.R. Dunkin, M. Poliakoff, J.J. Turner, N. Harrit and A. Holm, Tetr. Letters 1976, 873-876. “Photoinduced Ring Opening and COS Elimination of Mesoionic Thiadiazoles.” A. Holm, N.H. Toubro and N. Harrit, Tetr. Lett. 1976, 1909-1912. “Photolysis of 1,2,5-Selenadiazoles. Formation of Nitrile Selenides.” N. Harrit, C.L. Pedersen, M. Poliakoff and I. Dunkin, Acta Chemica Scandinavica B31 (1977) 848-858. “Strong Evidence for Thiazirines as Stable Intermediates at Cryogenic Temperature in the Photolytic Formation of Nitrile Sulfides from Aryl Substituted 1,2,3,4-Thiatriazole, Thiatriazole-3-oxide and 1,3,4-Oxathiazol-2-one.” A. Holm, N. Harrit and I. Trabjerg, J. Chem. Soc. Perkin I 1978, 746-750. “Evidence from the Absorption and Emission Spectra of Trimethylenemethane Derivatives for two Molecular Species in Thermal Equilibrium.” N. Harrit, N. Turro, M.J. Mirbach, J.A. Berson and M. Platz, J. Am. Chem. Soc. 100 (1978) 7653-7658. 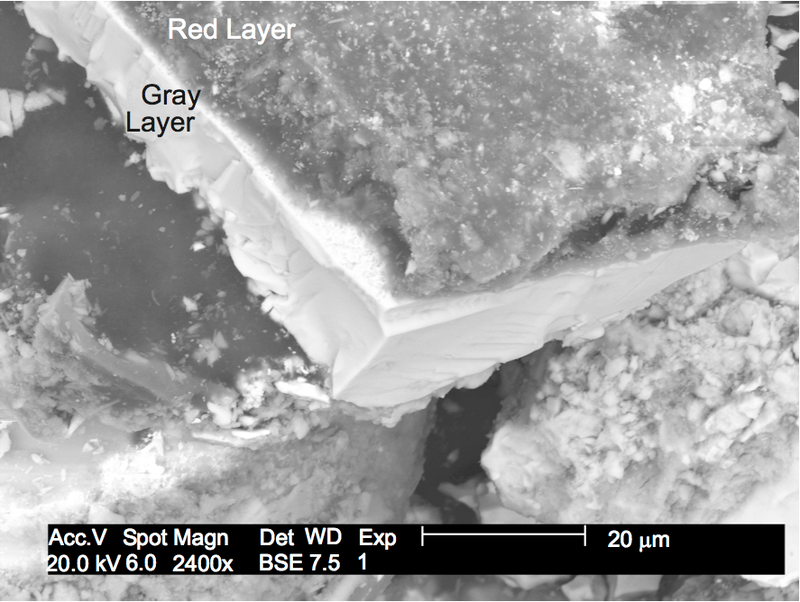 “Photoinduced Ring Opening and Fragmentation of Isomeric Mesoinic Anhydro-4(5)-hydroxythiazolium Hydroxides and of Anhydro-5-hydroxy-3-methyl-2-phenyloxazolium Hydroxides.” N.H.Toubro, B. Hansen, N. Harrit, A. Holm and K.T. Potts, Tetrahedron 35 (1979) 229-231. “Absence of Triazirine Intermediates in the Photolytic Formation of azides from Mesoionic 3-Substituted 1,2,3,4-Oxathiazolylio-5-oxides.” C. Bjerre, C. Christophersen, B. Hansen, N. Harrit, F.M. Nicolaisen and A. Holm, Tetrahedron 35 (1979) 409-411. “Photolysis of 1,2,3-Selenadiazole. Formation of Selenirene by Secondary Photolysis of Selenoketene.” N. Harrit, S. Rosenkilde, B. D. Larsen and A. Holm, J. Chem. Soc. 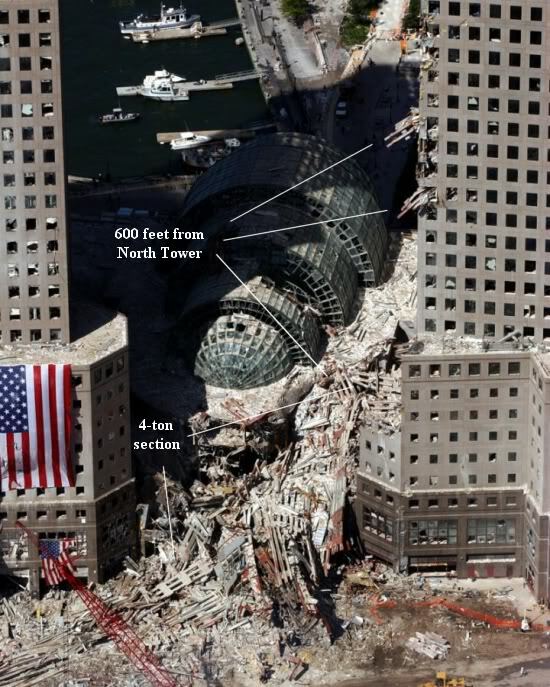 Perkin I 1985, 907-911. “Viscosity-dependent Fluorescence and Low-temperature Photochemistry of Mesoionic 4-Phenyl-1,3,2-oxathiazolylium-5-olate.” N. Harrit, A. Holm, I. Dunkin, M. Poliakoff and J.J. Turner, J. Chem. Soc. Perkin II 1987, 1227-1238. “On Selenoketenes. Formation of 1,3,4-Selenodiazoline from Carbodiselenide and Diazoalkanes.” R.H. Berg, N. Harrit, E. Larsen and A. Holm, Acta Chemica Scandinavica 43 (1989) 885-887. “Pregnancy Zone Protein, a Proteinase Binding Macroglobulin. Interactions with Proteinase Binding Macroglobulin. Interactions with Proteinases and Methylamine.” U. Christensen, M. Simonsen, N. Harrit and L. Sottrup-Jensen, Biochemistry, 28 (1989) 9324-9331. “Mixed-function-oxygenase in Juvenile rainbow Trout Exposed to Hexachlorobenzene or 3,3’,4,4’-tetrachlorobiphenyl.” H. Tyle, M. Egsmose and N. Harrit, Comp. Biochem. Physiol. 100 (1991) 161-164. “Pregnancy Zone Protein, a Proteinase Binding -Macroglobulin. Stopped-flow Kinetic Studies of its Interaction with Chymotrypsin.” U. Christensen, L. Sottrup-Jensen and N. Harrit, Biochem. Biophys. Acta, 1076 (1991) 91-96. “The Peroxide Chemistry of triaryl Substituted Imidazoles. Fenflumizole, a Non-steroidal, anti-inflammatory Agent.” P.L. Frandsen, K. Håkansson, A. Holm and N. Harrit, Acta Chemica Scandinavica 45 (1991) 627-631. “Photolysis of N-2,4,6-Trinitrophenyl Substituted Amino Acids.” J. Frederiksen, B.D. Larsen and N. Harrit, Tetrahedron Lett. 32 (1991) 5823. “Photolysis of 1,2,3-Thiadiazole. Formation of Thiirene by Secondary Photolysis of Thioketene.” B.D. Larsen, N. Harrit, H. Eggert and A. Holm, Acta Chem. Scand. 46 (1992) 482-486. “Two Different Ca2+ Ion Binding Sites in Factor VIIa and in Des(1-38) factor VIIa.” J. Schiødt, N. Harrit, U. Christensen and L. Petersen, FEBS Letters, 306 (1992) 265-268. “Correlations Between the Rate Constant of Singlet Oxygen Quenching by Imidazole Derivatives and Anti-inflammatory Activity in Rats.” R.V. Bensasson, J. Frederiksen, M. Rougée, D. Lexa and N. Harrit, Mol. Pharmacol. 42 (1992) 718-722. “Synthesis of New Sulfur Heteroaromatics Isoelectronic with Dibenzo[g,p]chrysene by Photocyclization of Thienyl- and Phenyl-Substituted Ethenes.” E. Fischer, J. Larsen, J.B. Christensen, M. Fourmigué, H.G. Madsen and N. Harrit, J. Org. Chem. 61, (1996) 6997-7005. “Ordering of the Disk-like 2,3,6,7,10,11-Hexakis(hexylthio)triphenylene in Solution and at Liquid-Solid Interface.” Gabriel, J.-C., Larsen, N.B., Larsen, M., Harrit, N., Pedersen, J.S., Schaumburg, K. and Bechgaard, K. Langmuir 12 (1996) 1690-1692. “Photoconductivity of Langmuir-Blodgett Films of Corbathiene.” A. Komolov, K. Schaumburg and N. Harrit, Thin Solid Films 293 (1997) 159. “Photophysical properties of 2,3,6,7,10,11-Hexakis(n-hexylsulfonyl)triphe-nylene and 2,3,6,7,10,11-Hexakis(n-hexylsulfonyl)triphenylene in solution.” D. Baunsgaard, M. Larsen, N. Harrit, J. Frederiksen, R. Wilbrandt, H. Stapelfeldt, J.Chem.Soc., Faraday Trans., 93 (1997) 1893-1901. “Fluorescein-Conjugated Lysine Monomers for Solid Phase Synthesis of Fluorescent Peptides and PNA Oligomers.” J. Lohse, P.E. Nielsen, N. Harrit and O. Dahl, Bioconjugate Chem. 8 (1997) 503-509. ”Synthesis, Structure, and Fluorescence Properties of 5,17-Distyryl-25,26,27,28-tetrapropoxycalixarenes in the Cone Conformation.” Mogens Larsen, Frederik C. Krebs, Mikkel Jørgensen, og Niels Harrit, J.Org.Chem., 63 (1998) 4420-4424. ”2,6,10-Tris(dialkylamino)trioxatriangulenium Ions. Synthesis, Structure, and Properties of Exceptionally Stable Carbenium Ions.” Bo W. Laursen, Frederik C. Krebs, Merete F. Nielsen, Klaus Bechgaard, Jørn B. Christensen, and Niels Harrit, J. Am. Chem. Soc., 120 (1998) 12255 –12263. ”Vibronic Activity in the Phosphorescence Spectra of Disklike Aromatic Molecules: A Combined Experimental and Theoretical Investigation.” D. Baunsgaard, N. Harrit, M. El Balsami, F. Negri, G. Orlandi, J. Frederiksen and R. Wilbrandt, J. Phys. Chem. A, 102 (1998) 10007 –10016. ”The Phosphorescence Spectra of Triphenylene and Truxene: A Combined Experimental and Theoretical Investigation of The Vibronic Structure.” D. Baunsgaard, M. El Balsami, J. Frederiksen, N. Harrit, F. Negri, G. Orlandi and R. Wilbrandt, Laser Chemistry, 19 (1999) 349-351. ”Synthesis and conformational studies of a series of 5,17-bis-aryl-25,26,27,28-tetrapropoxycalixarenes: The influence of - interactions on the molecular structure.” Mogens Larsen, Frederik C. Krebs, Niels Harrit, and Mikkel Jørgensen. J.Chem.Soc.Perkin Trans. 2, 1999, 1749-1757. ”Vibrational spectroscopic and quantum chemical studies of the trioxatriangulenium carbocation.” Johannes Reynisson, G. Balakrishnan, Niels Harrit, and Robert Wilbrandt. J.Mol.Struct., 520, 2000, 63-73. 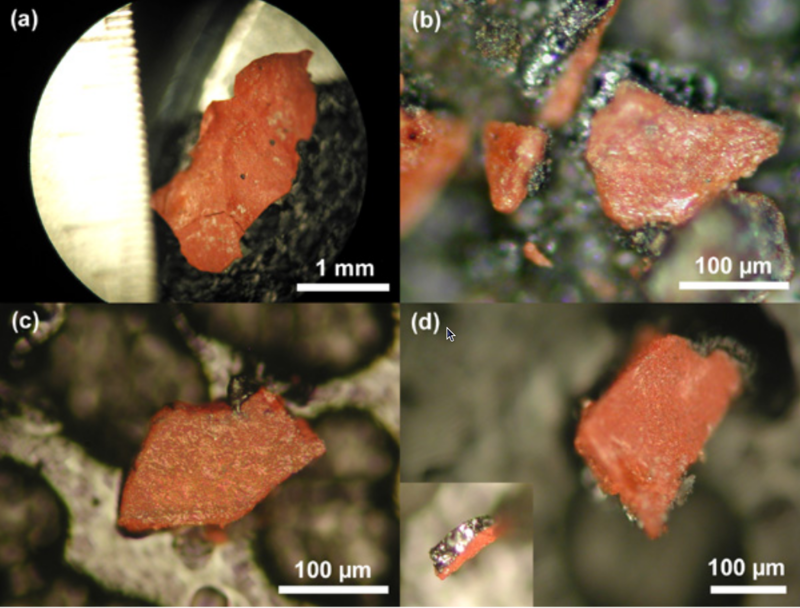 “Structural properties of DNO investigated with pyrene excimer formation.” Johannes Reynisson, Lise Vejby-Christensen, Robert Wilbrandt, Niels Harrit, Rolf H. Berg, J. Pept. Sci. 6, 2000, 603-611. “Synthesis of a Hoechst 32258 Analogue Amino Acid Building Block for Direct Incorporation of a Fluorescent, High-Affinity DNA Binding Motif into Peptides.” Carsten Behrens, Niels Harrit, Peter E. Nielsen, Bioconjugate Chem. 12 (2001) 1021-1027. „Photophysics of Trioxatriangulenium ion. Electrophilic reactivity in the ground state and excited singlet state.“ Jóhannes Reynisson, Niels Harrit, Robert Wilbrandt, Vibeke Brinck, Bo W. Laursen, Kasper Nørgaard, and Albert M. Brouwer, Photochemical and Photobiological Sciences 1 (2002) 763-773. 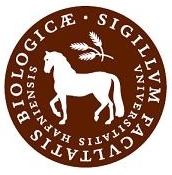 “System and Method for the Classification of Biological Samples and their Diagnostic Potential”, Lars Nørgård, Morten Albrechtsen, Ole Olsen, Niels Harrit og Rasmus Bro-Jørgensen, Patent (WO2001092859). “Redox regulation of gene expression of chemoprotective enzymes and of chemoprotection against inflammation and carcinogenesis.“ Vincent Zoete, John Frederiksen, Niels Harrit, Rodger Scurlock, Michel Rougée and René V. Bensasson, Free Radical Research, 36 (2002) 111-114. “Novel Synthesis of Protected Thiol End-Capped Stilbenes and Oligo(phenylenevinylene)s (OPVs).” Nicolai Stuhr-Hansen, Jørn B. Christensen, Niels Harrit, and Thomas Bjørnholm, J. Org. Chem., 68 (2003) 1275-1282. “Oligodeoxynucleotides Containing -L-ribo­ configured LNA-type C-aryl Nucleosides: Synthesis and Properties as a Universal Base.” B. Ravindra Babu Raunak, Mads D. Sørensen, Virinder S. Parmar, Niels H. Harrit and Jesper Wengel, Organic & Biomolecular Chem. (RSC), 2 (2004) 80-89. Translucent Pellets. Comparison with Commercial Powder.” E. Zych, W. Goetz, N. Harrit and H. Spanggaard, J. Alloys and Compounds, 380 (2004) 113-117. ”2,6,10-Tris(dialkylamino)-­trioxa­triangule­nium salts - a new promising fluorophore. Ion-pair formation and aggregation in non-polar solvents.” Bo W. Laursen, Jóhannes Reynisson, Kurt V. Mikkelsen, Klaus Bechgaard and Niels Harrit, Photochemical and Photobiological Sciences (RSC), 4 (2005) 568-576. “Fluorescent Pyrene-Functionalized 2’Amino-LNAs for Nucleic Acid detection in Homogenous Assays.” Patrick J. Hrdlicka, B. Ravindra Babu, Mads D. Sørensen, Niels Harrit, and Jesper Wengel, J. Am. Chem. Soc., 127 (2005) 13293 – 13299. “Expanding the Optical Trapping Range of Gold Nanoparticles.” Poul Martin Hansen, Vikram Kjøller Bhatia, Niels Harrit, and Lene Oddershede, Nano Letters, 5 (2005) 1937 – 1942.
" Fluorescence spectroscopy and chemometrics for classification of breast cancer samples-a feasibility study using extended canonical variates analysis." Lars Nørgaard, Gyorgy, Soletormos, Niels Harrit, Morten Albrechtsen, Ole, Olsen, Dorte Nielsen, Kristoffer Kampmann, and Rasmus Bro, Journal of Chemometrics (2007), 21, 451-458..
"Close Columnar Packing of Triangulenium Ions in Langmuir Films." Jens B. Simonsen, Kristian Kjaer, Paul Howes, Kasper Norgaard, Thomas Bjornholm, Niels Harrit, Bo W. Laursen, Langmuir 25 (2009) 3584-3592. "Time-resolved X-ray scattering of an electronically excited state in solution. Structure of the 3A(2u) state of tetrakis-mu-pyrophosphitodiplatinate(II)." 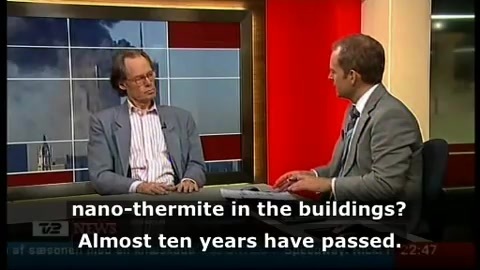 Morten Christensen, Kristoffer Haldrup, Klaus Bechgaard, Robert Feidenhans'l, Qingyu Kong, Marco Cammarata, Manuela Lo Russo, Michael Wulff, Niels Harrit, Martin Meedom Nielsen, Journal of the American Chemical Society, 131 (2009) 502-8. 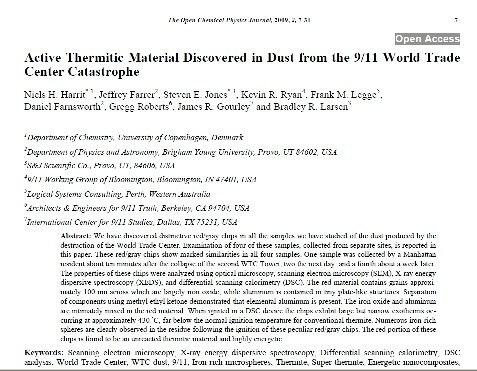 "Active Thermitic Material Discovered in Dust from 9/11 World Trade Center Catastrophe." Niels H. Harrit, Jeffrey Farrer, Steven E. Jones, Kevin R. Ryan, Frank M. Legge, Daniel Farnsworth, Gregg Roberts, James R. Gourley and Bradley R. Larsen, The Open Chemical Physics Journal, 2 (2009) 7 – 31. 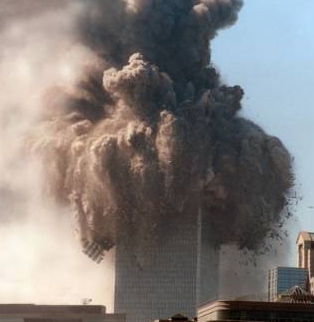 Why didn't the World Trade Center towers look something more like this? 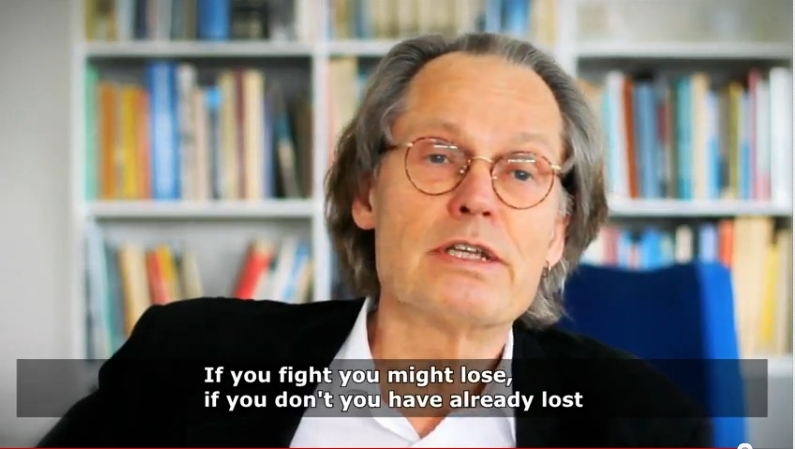 If you fight you might lose. If you don't, you have already lost. Why didn't the WTCs look like this after the jets hit them?